Information on any injuries or loss of life or property is yet not available. 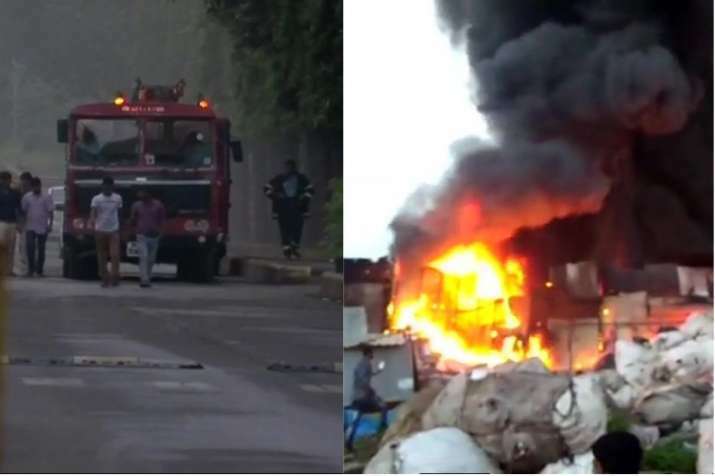 At least two incidents of fire were reported from Maharashtra's business houses on Tuesday morning - at Mumbai's Andheri Seepz and a goods godown in Thane. A fire broke out at a building in Mumbai’s Andheri during the wee hours on Wednesday. Five fire engines and three water tankers are present at the spot to fight the blaze. The incident was reported at 3 am, late on Tuesday, in building number 5 of Seepz. Firefighting operations are currently underway and information on any injuries or loss of life or property is yet not available. In a separate incident, fire broke out in a godown at Khan compound in Shilphata, Thane. Two fire fighters are present at the spot to douse the flames. Cause of the fire is yet to be ascertained.